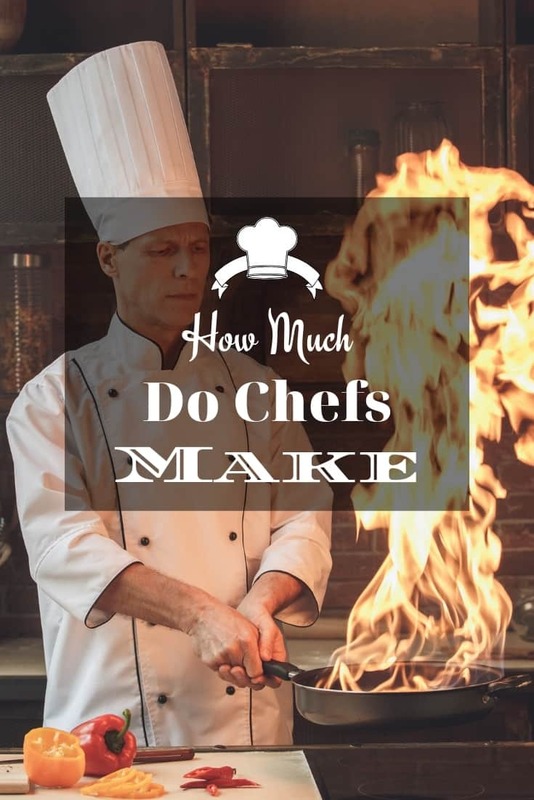 There is no definite answer to the question of how much do chefs make. Top chefs can receive really high salaries, in some cases even union benefits, and more opportunities. On the other hand, many who are working their way into this career path only receive average or even below the average wage. 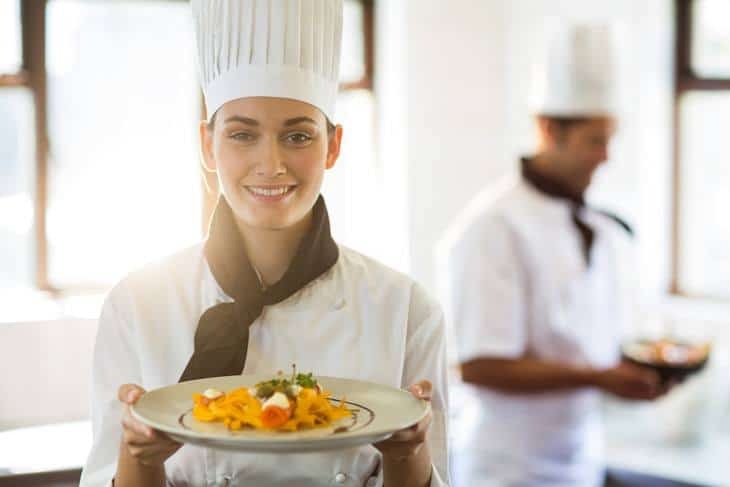 If you are considering the career and are wondering if it is a lucrative industry to join, here are some things you need to learn about being a chef and how to work your way up the ladder and salary brackets. In Atlantic City and Las Vegas, the average salary is $85,000 per year and $14 per hour for line cooks. Most prestigious chefs, those employed in the Whitehouse, for example, receive about $120,000 salary a year. However, the national average, according to online industry magazines’ estimates, is only about $75, 596. 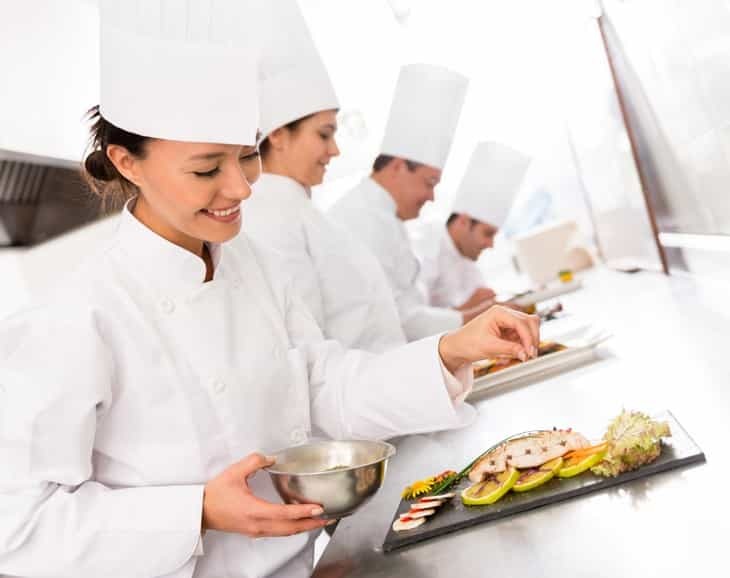 Like most fields, chefs with more than 10 years of experience tend to earn higher salaries than those who are just starting out in the industry. Aside from salary, people with more experience tend to receive more bonuses, shares in profit sharing, and commissions. These are the benefits of having worked for years in the industry. What you need to know, though, is that being a chef requires a mixture of skills, talent, experience, education, and luck. Out of these 5 factors, only education is within your control. You can earn skills and experience as you work your way up, but without luck or talent, you may struggle a long time. If you are passionate in the field, however, there should be no reason you can’t find success. Like any other careers, you take a risk to join this industry but there are definitely reasons why it is worth a leap of faith. 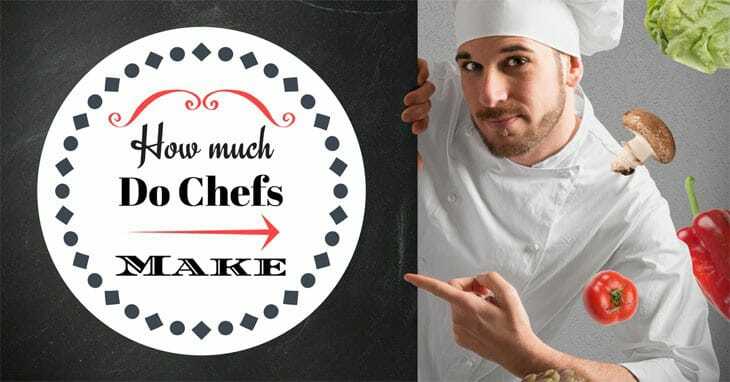 How much do #chefs make: 5 reasons why it’s awesome to be chef! This is a fun read. The food industry is one business that will never run out of a market. People need to eat one way or another. You will, however, always need to find ways to step up your game as competition is very fierce in this industry. You will have to make a name for yourself and be sure to stay relevant by being bold and creative with your specialties. Building a reputation in this day and age is not as difficult as it was before the internet. Chefs have an easier time these days to start a brand and be known for what they do. What you need really to do to stand out is constantly innovating and growing your brand. At the same time, you will get the opportunities to work with fantastic teams of individuals who are mentally tough enough to endure the pressure in the kitchen. In this field, having experience is a big advantage. One way of gaining valuable experience is by learning from different kitchens all over the world. For beginners, this can be a challenge, especially as far as finances are concerned. However, the good news is that you will always find a job anywhere in the world. Once you have built your reputation and have created a name for yourself, you will have the chance to be invited to different corners of the world. Talented chefs, like any skilled professionals, are always in demand. Consider the popularity of eating out whether for work or for pleasure. Restaurants are popping out everywhere and are always on the lookout for the next kitchen celebrity. In fact, in the UK, an average person eats out about 10-12 times a month. That is a pretty good sign for chefs in this market. It is one thing to earn a good wage from a job, and it’s another to have the opportunity to affect people with the career path you have chosen. Chefs make food and good food makes people happy. The best part is you get to do it every day. Not many careers can give you the satisfaction of knowing you have regular customers who come back to your restaurant because they love the food you make. Sometimes, your creations become parts of a birthday celebration, a family gathering, or a wedding. While the plates you make might be small, the amount of happiness they give to people is immeasurable. They say the chef’s mood affects the food he or she makes. If you are doing what you love to do – cooking and being creative, the kitchen can be a sanctuary. Being a chef, you will always have room to experiment and be creative. Regular seasonal changes, for example, are good opportunities to introduce something new into the menu. Even chefs who are working on the fixed menu get to introduce subtle changes in presentation, flavor, or texture of a dish. These tiny tweaks make wonders and provide great satisfaction to the customers. 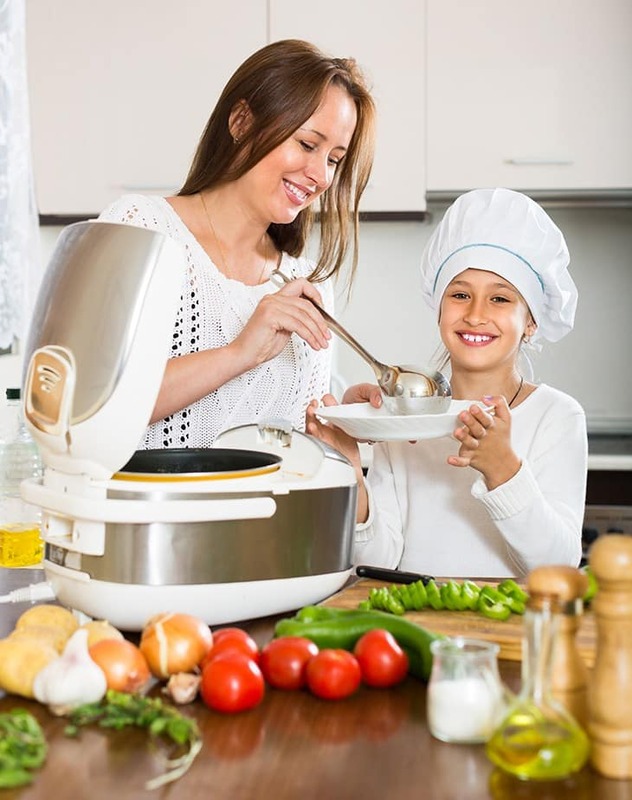 If you have ever been in a busy kitchen, you will know the pressure not just in terms of food processing, but in terms of the mood of the people working on the food. There are about a million things to do at the same time. Hours seem to pass in minutes in a busy kitchen. Thus, there is no time to be bored or be boring. For downtimes, most chefs spent their hours researching and being creative to improve their craft. With this career path, you are kept you on your toes and have to constantly use creativity and computational skills. This keeps you physically and mentally active. 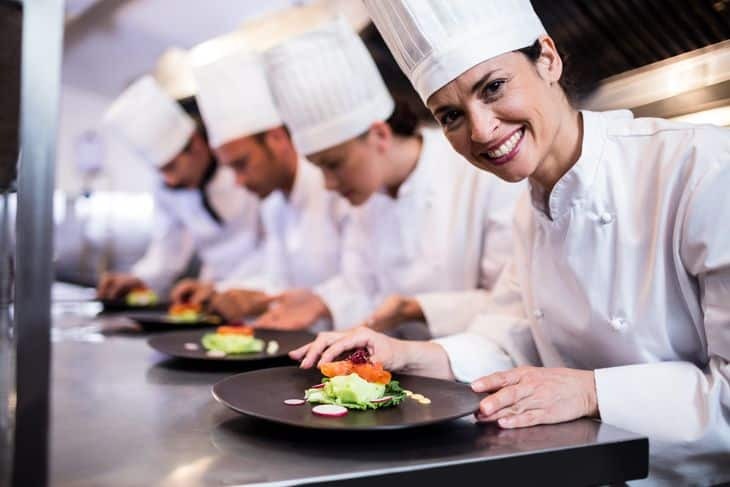 Obviously, the answer to how much do chefs make is affected by many factors such as your experience level, geographic location, and the particular firm you work for. The majority of chefs are men. In fact, in a survey of 2,921 chefs, 88% of respondents were males. 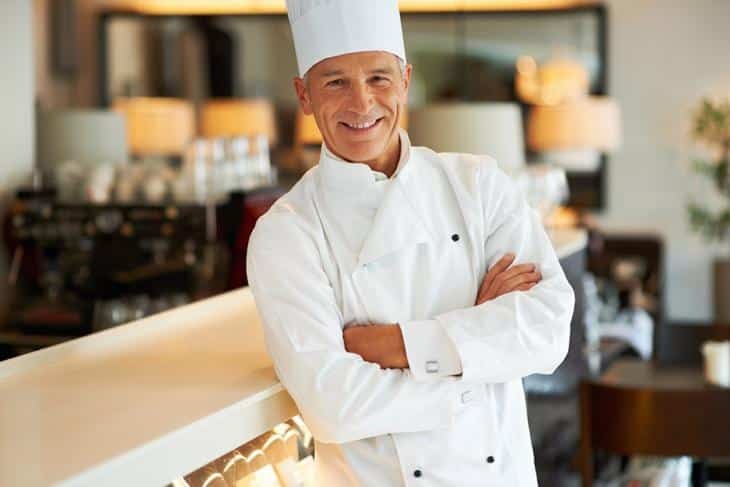 For most executive chefs, work is enjoyable and the level of job satisfaction is high. 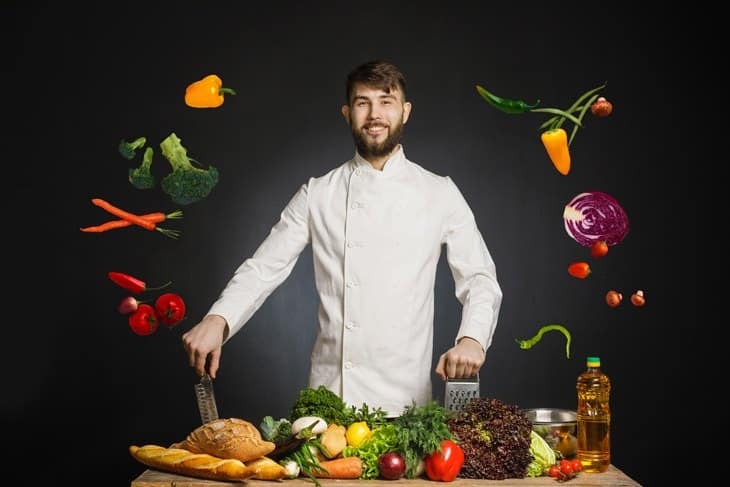 Although there are reports on the lack of health benefits for some chefs, generally, a larger number of chefs enjoy medical insurance as well as dental coverage. As a whole, chefs make an okay income. Despite the financial setbacks, chefs tend to have good job satisfaction as the job presents enough challenges and opportunities for exploration and creativity. More importantly, it is an in demand job that opens a wide array of opportunities nationally and internationally. If you have any questions, comments or clarifications, feel free to leave a comment in the space below.